We know it’s not perfect, but we’re working hard to make it better than Siri! If you like Skyvi, please support us with a 5-Star Review! Got Siri jealousy? Get Skyvi Now! 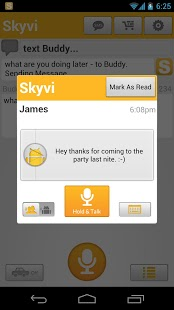 If you’ve tried other voice ,hands free, handsfree and digital assistant apps like Iris, vLingo, Speaktoit Assistant, Andy, Sonalight Text by Voice, Jeannie, AIVC, TiKL, EVA Intern, Voice Search, Gosms, Dropbox, or Voice Actions be sure to try Skyvi and be amazed! Finally be hands-free! 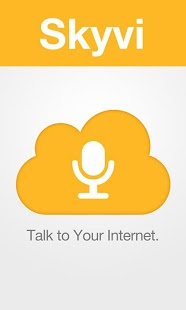 Disclaimer: Skyvi is not affiliated with Apple or Siri in anyway. Skyvi remembers your friend’s nicknames!